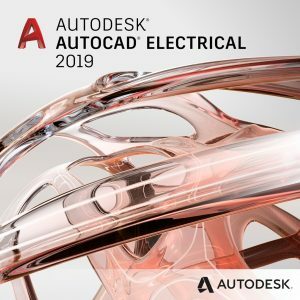 Check out AutoCAD LT 2018 overview video here. If you’re on an AutoCAD or AutoCAD LT 2017 subscription license or maintenance plan, you’ll get all your updates as they become available, right in the Autodesk Desktop App. Just accept the update, and you’ll be up and running with the new features immediately. “The fact that PDF import has come to be something that I feel that I can trust saved me several hundred dollars this week,” Tidball elaborated. The team has continued to make enhancements to this feature. With AutoCAD 2018, you can use the SHX text recognition tool to quickly convert imported PDF geometry to text and Mtext objects. Add to that the enhanced Text to Mtext tool, enabling you to convert a combination of single- and multi- line text objects to a one multi-line text object, automatically inferring formatting. Enhancements in AutoCAD 2018 help reduce the problems created by broken reference paths by saving time and minimizing frustration. Integrated tools enable you to easily replace the paths of one or more missing references with a new path. In AutoCAD 2018, you can begin a selection window in one part of your drawing and then pan and zoom to another part while maintaining selection of the off-screen objects! AutoCAD 2018 supports high-resolution monitors to ensure the best possible viewing experience on 4K displays and higher. Commonly used user interface elements, such as the Start tab, Command line, palettes, dialog boxes, toolbars, ViewCube, pick pox, and grips, are appropriately scaled and displayed as per the Windows setting. AutoCAD 2018 continues to improve graphics and performance while ensuring the TrustedDWG technology you rely on. The DWG format has been updated to provide improvements in the efficiency of open and save operations, especially for drawings that contain many annotative objects and viewports. Additionally, 3D solid and surface creation is now using the newest geometric modeler which has improved security and stability. When you subscribe to AutoCAD or AutoCAD LT, you get the AutoCAD mobile app at no additional cost. Be more productive by easily viewing, creating, editing, and sharing CAD drawings on your tablet or smartphone—no need to bring printed drawings to job sites or client visits. Download the AutoCAD mobile app from the Apple App Store, Google Play Store, or Windows App Storeand take your drawings on the go now. Don’t forget to check out the full AutoCAD 2018 Preview Guide to learn more about the new features, how to access them, and why we think you’ll love them.